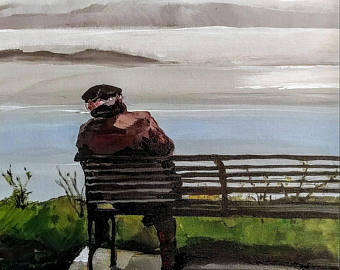 An old man sits on an isolated bench. yet he is still as the mind ceases to be. “Can you see the pure divinity all around me? and the smiling duck who is wet with glee. as if blinded and only seeing for the first time. full of Beauty and Grace.